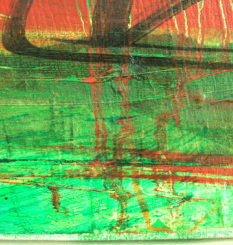 Treatment Examples - WalkerPainting Conservation, LLC. 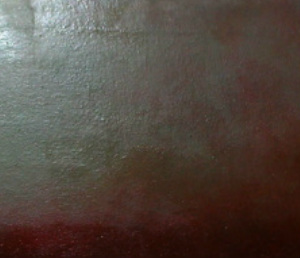 Detail of varnish removal, cleaned area on the left. 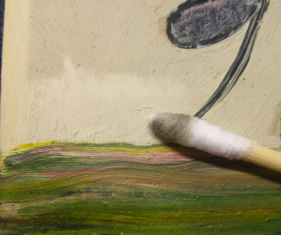 Detail of scratch on a 20th c. color field painting. 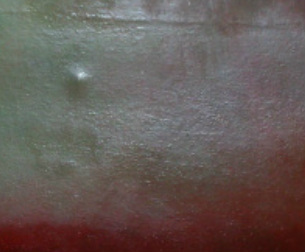 Detail of dent from painting reverse. 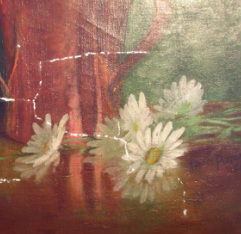 Detail of damaged area after local varnish adjustment and inpainting. Detail of dented area after local humidification and flattening. 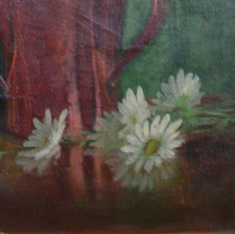 Detail of 20th c. painting with a multi-branched tear. 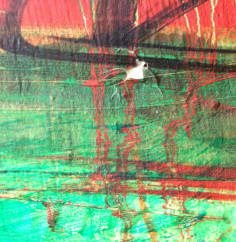 Detail of torn 20th c. painting with collage elements and lifting paint. 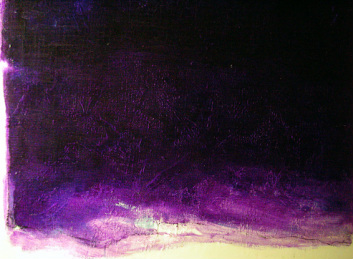 Detail of tear after mending and filling. 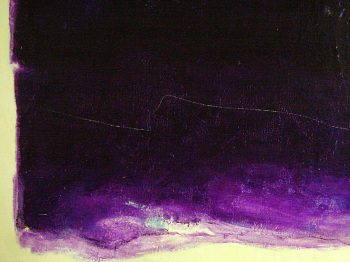 Detail of damaged area after local consolidation and filling. 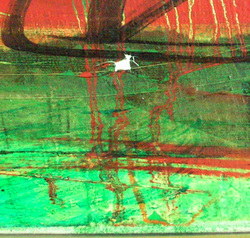 Detail of torn area after inpainting. 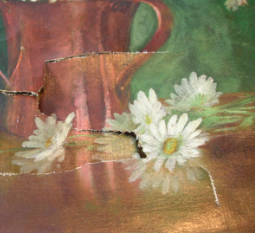 Detail of damaged area after inpainting.